You have made a major investment in your pool or spa. At Island Pool & Spa we can help you take the guess work out of pool cleaning. 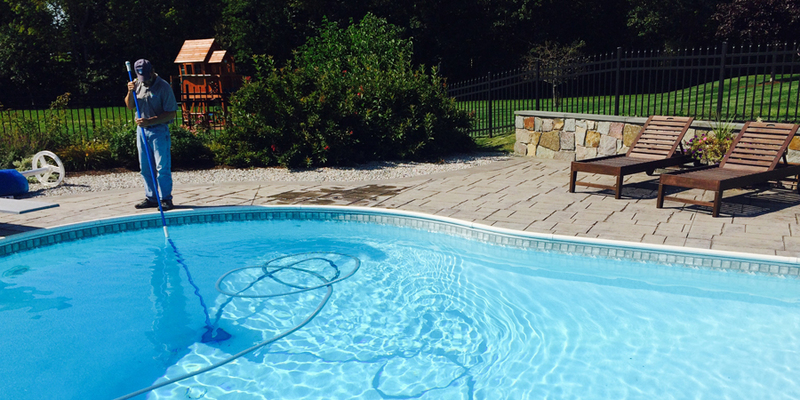 With our weekly service plans you can return home from work to enjoy your pool rather than clean it! Summers are short enough in Maine; we want you and your family to sit back and relax while we do the work. Our maintenance plans generally consist of 16 weekly visits but can be customized to fit your needs. Opening your pool the first week. 14 weekly visits to vacuum the pool, balance the chemicals, shock the pool, brush the walls, clean & backwash the filter, empty the pump and skimmer baskets. Pricing is based on size and location of pool. Call (207) 469-6004 today for a free quote.